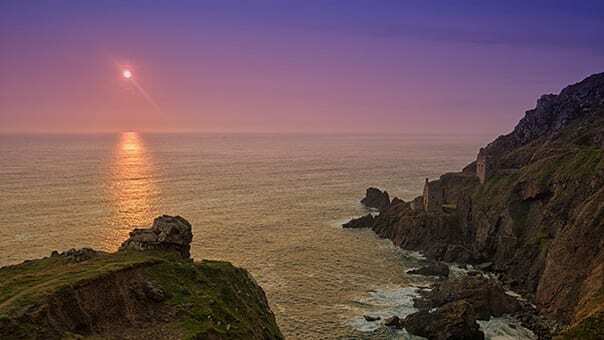 North Cornwall is a very popular summer holiday destination, and its scenery and natural environment is equally captivating in the winter months too making it ideal for a Christmas break! You could be at home watching yet another repeat of the Wizard of Oz, or you could walk for miles with amazing views and deserted beaches! Combined with a cosy luxury cottage, heated indoor pool, horse riding and loads of things to do for all the family, you can make your Christmas and New Year even more special! Christmas and New Year is an exciting time – especially if you have children in the family! 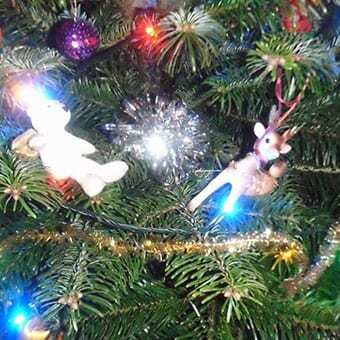 Here are some of the things you can do at Broomhill Manor over Christmas and New Year. Short breaks are also available (minimum 4 nights). If you are here for Christmas, we provide a ready-dressed Christmas Tree and festive welcome pack for your arrival. If you prefer to dress your own tree, just let us know and we’ll leave the decorations ready for you. Alternatively, if you are coming on holiday to get away from the rigmarole of Christmas, then let us know that too and we will leave your cottage decoration free! 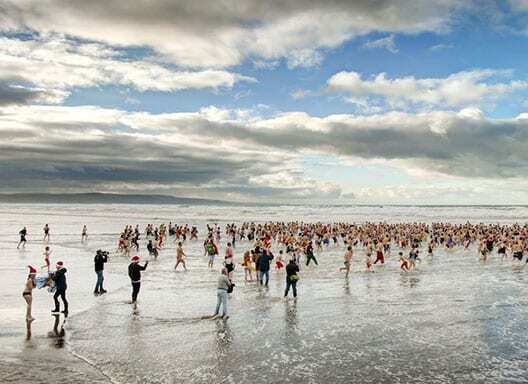 The Christmas Day swim at Crooklets – whether taking part or as a spectator – is a local institution! Many hundreds of people herd towards the sea on the sound of the claxon for a quick dip! Fortunately all the café’s and pubs around are on hand with mugs of steaming hot chocolate and hot toddies afterwards! Pick a crisp sunny day and the beaches are ideal for a gentle stroll along the shore or take a more exhilarating walk on the South West Coast Path to walk off that extra helping of Christmas pud! The short days will just be reversing and getting longer and the winter sunsets can be stunning – grab some local fish and chips and sit on the beach to watch the rainbow colours as the sun sets over Bude bay! 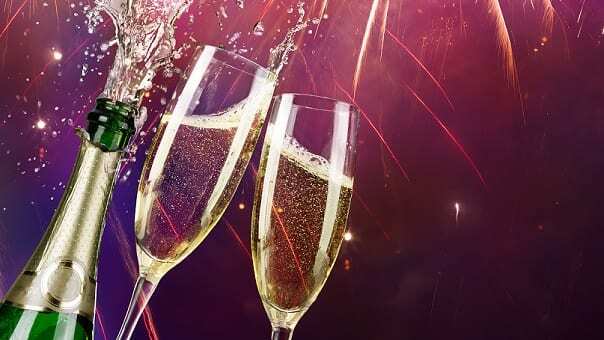 If you are staying here for New Year, you will be invited to join us for a Champagne reception and canapés in the Manor House on New Year’s Eve – a great way to get the New Year off to a good start! There are many great pubs and restaurants for local foody fayre – pick one with a roaring log fire! Cornwall is well established as a foody destination having access to wonderful fresh ingredients, local seafood and many artisan producers. 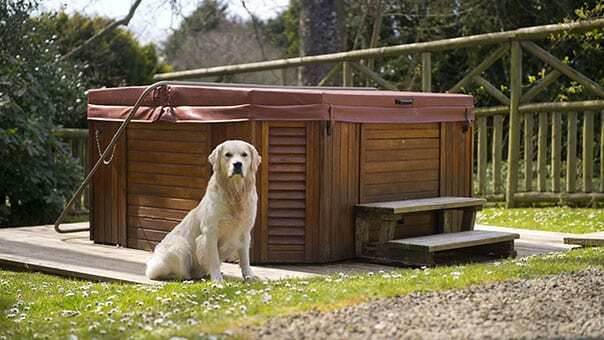 And as it’s Christmas, why not treat yourself to that extra bit of luxury, with a cottage with a hot-tub? You can also indulge yourself with a spa treatment or take the hassle out of meal times with a chef-prepared meal delivered right to your cottage door. 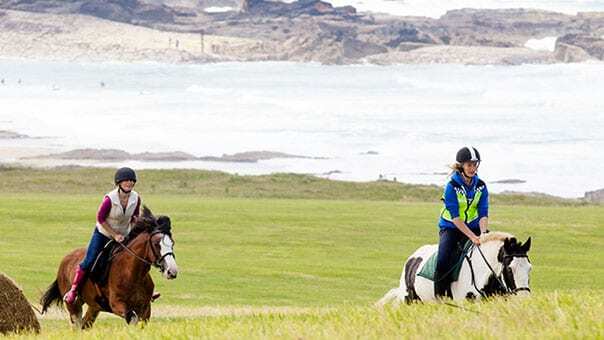 There’s plenty to do on-site with facilities all the family can enjoy – including a heated indoor pool, horse riding, newly re-surfaced tennis court, Jacuzzi, gym, sauna, bar and snooker room, Under 6’s playroom, table tennis, pool and table football……. is a few days long enough?!! Broomhill Manor shared a photo. Great news! This event was fantastic last year. Book a cottage and make a weekend of it! Broomhill Manor shared a post. One of the many excellent guides available at Bude Tourist Information Centre. Park up (or walk there), buy a map and off you go! #WeAreBude #BudeWalks #BudeCanalWe've just completed our new Bude Canal and Coast Path Circular Walk... it will be back from the printers soon! Sadly they were all rotten and dying. You may have noticed a few trees came down in the winter blocking the path and we could not risk someone getting hurt if a tree came down. Why so many trees chopped down along Broomhill lane? We’re extremely lucky in Bude that our main beaches have professional lifeguard cover throughout the holiday season and at various times throughout the year. © Copyright 2019. Broomhill Manor Country Estate Ltd. All rights reserved.